Samsung are relaunching their Galaxy Note 7 smartphone as the Samsung Galaxy Note 7R and the handset has now received Bluetooth certification. The Samsung Galaxy Note 7R will be launch in a number of countries, the ones we know about so far are China and Samsung’s home country of South Korea. 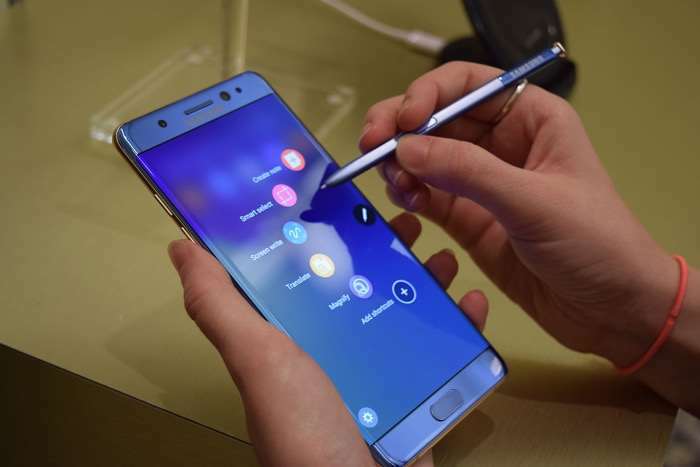 The handset is a refurbished version of the Galaxy Note 7 that was recalled twice due to some versions of the smartphone catching fire. Samsung have put a smaller 3200 mAh battery in the Note 7R, the original Note 7 came with a 3500 mAh battery, the rest of the specifications on the handset are expected to be the same. These specifications include a 5.7 inch display with a Quad HD resolution of 2560 x 1440 pixels, plus a Samsung Exynos 8990 processor. The handset also comes with 4GB of RAM and 64GB of storage, plus a microSD card slot and a 5 megapixel front facing camera for Selfies and a 12 megapixel rear camera. Samsung are selling the new Galaxy Note 7R around $250 cheaper than the original device, it will retail for about $620 in South Korea.